In the UK, digital marcoms group Next15 has announced plans to bring all its data businesses under one brand - MIG data and insights - so as to offer customers 'a more tightly integrated set of services in Europe and the US'. In 2017, Next15 merged its two research brands, Morar Consulting and HPI to form MIG Global, which includes financial MR consultancy Charterhouse Research; Circle Research; Velocity Partners; Morar; VIGA and its Crowdology platform, Cardinal; and Envirosell. Last year it added to its portfolio with the acquisition innovation agency Brandwidth Group; MR software, services and solutions provider thinqonline; and B2B demand generation company Activate Marketing Services. In addition, its data collection agency VIGA opened a division to develop insights for financial institutions and management consultancies. In a trading update issued earlier, Next15 said it anticipates the company's financial results will be in line with the Board's expectations and that the group will make further 'good progress' in the year ahead. 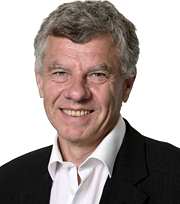 According to the update, the group has seen organic revenue growth in the second half of the financial year continue to 'outrun' sector averages, and this has been supplemented by the acquisitions made during the period including Activate and this year's takeover of predictive analytics and data marketing business Planning-Inc.
Chairman Richard Eyre (pictured) adds: 'The group continues to deliver above industry average organic growth. This is large part due to its focus on data and technology to re-enforce its creative capabilities. With the geo-political landscape remaining in flux, clients are looking for greater certainty from their marketing programs which our agencies and data businesses are proving able to provide'.